Rows of hanging lights to decorate your Minecraft constructions. Fairy Lights 1.8 is a mod that lets you create rows of hanging lights (also known as fairy lights) as many colors as dyes exist in the game, ie, 16 different colors. For starters, we create the lights, choose the shape or material and then use coloring dyes. These lights can craftearlas in two ways, at the crafting table a horizontal row of iron and a horizontal sticks or string. If we choose sticks, will be lights in horizontal format, while if we use string, will hang. Put any of these rows of lights is as simple as right-clicking with the lights on a block to tie one end, and right-click another block to tie the other end. 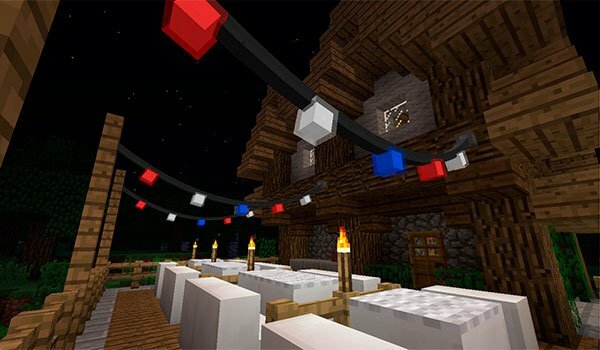 How to install Fairy Lights Mod for Minecraft 1.8? 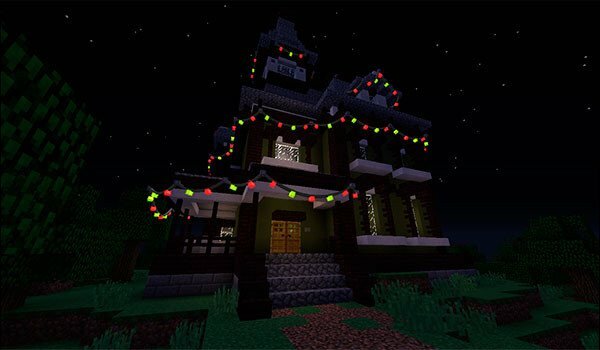 Now we can start decorating our buildings with small colored lights!